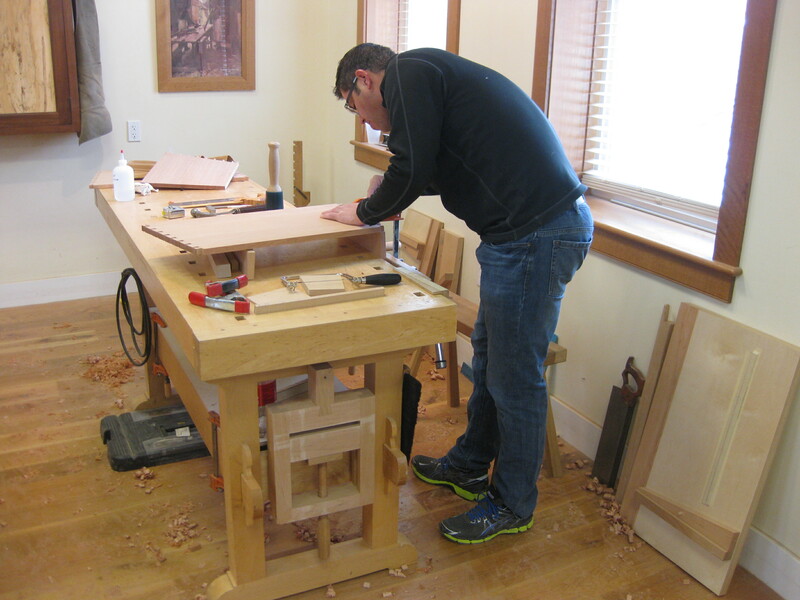 The past month has been super busy. 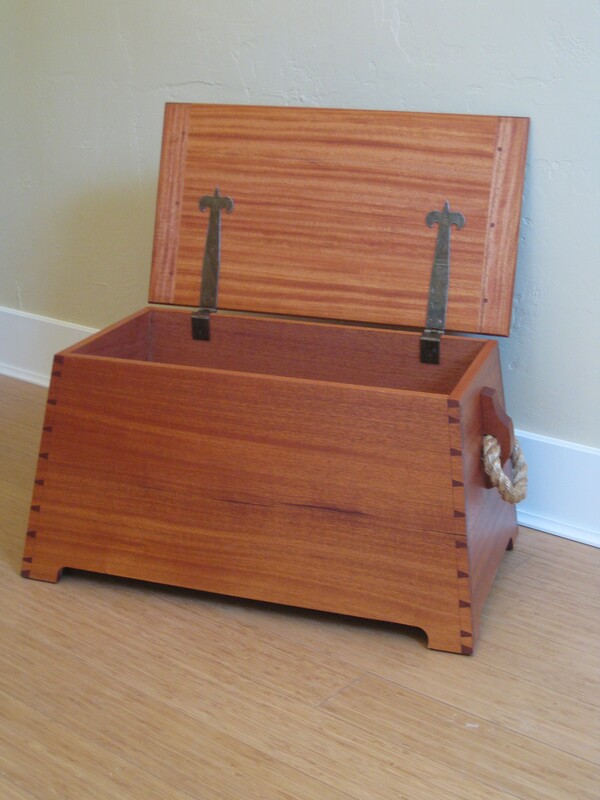 In addition to my commissioned work and regular teaching responsibilities at Salt Lake Community College, I taught three workshops on how to build this eye-catching sea chest. 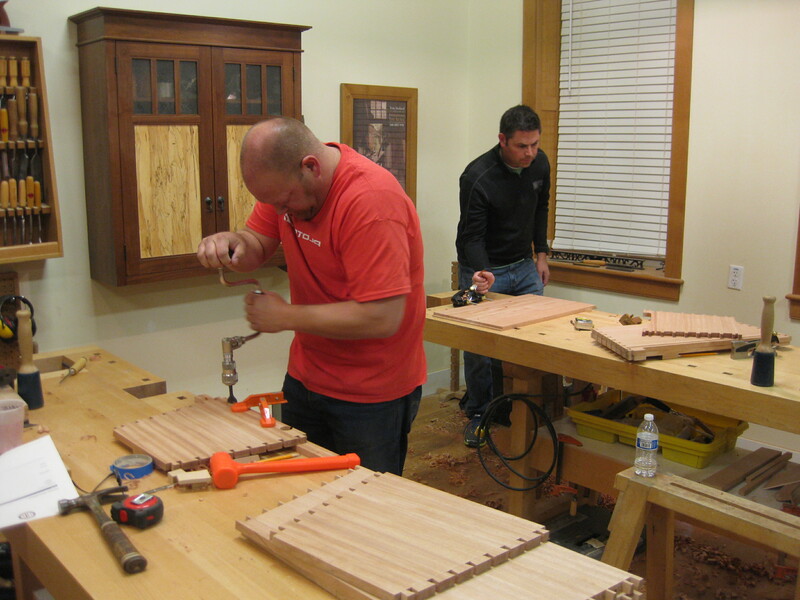 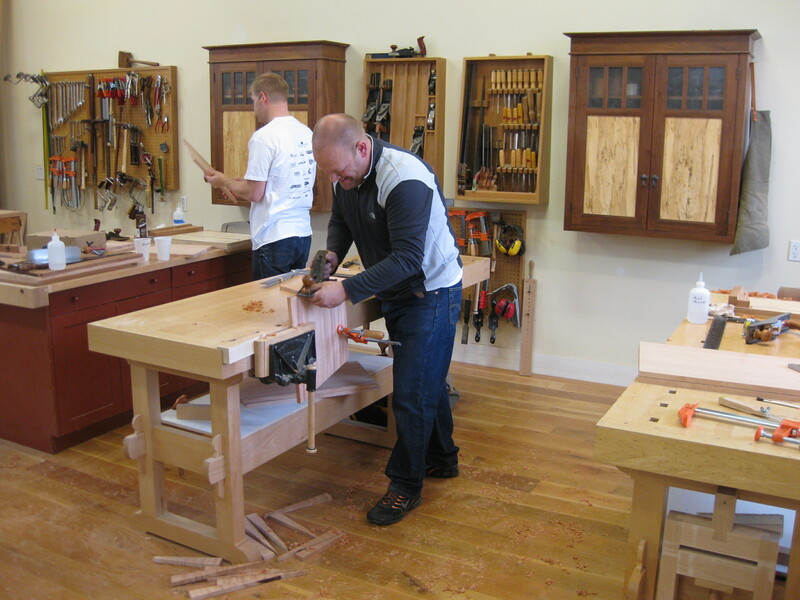 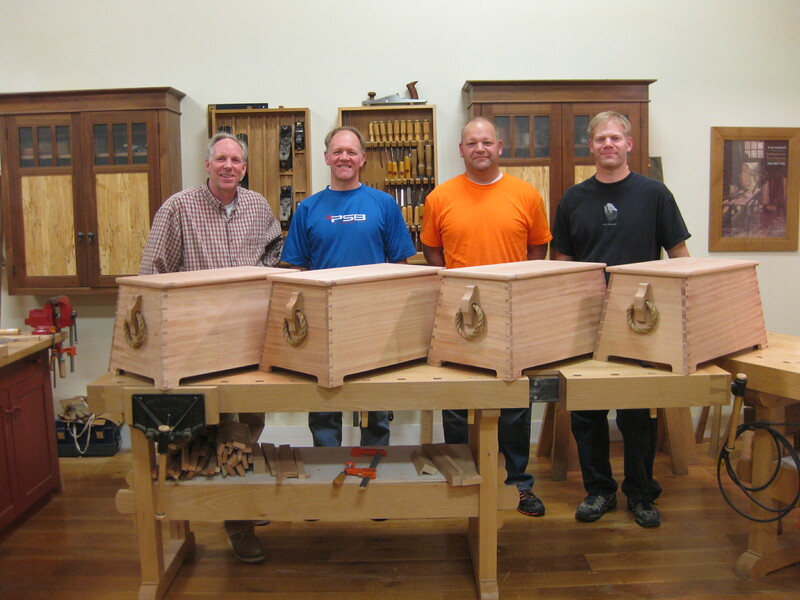 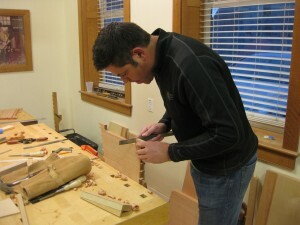 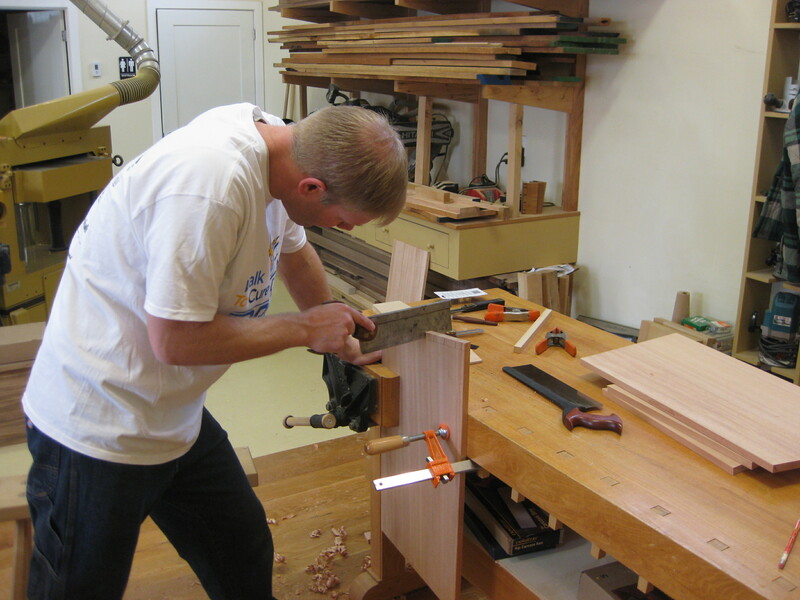 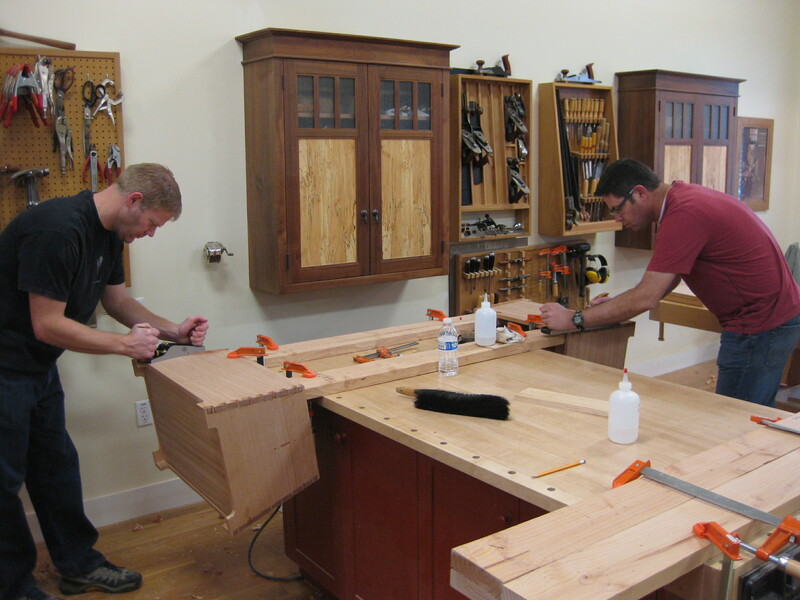 Two of these classes were held at the Traditional Building Skills Institute at Snow College in Ephraim, Utah. 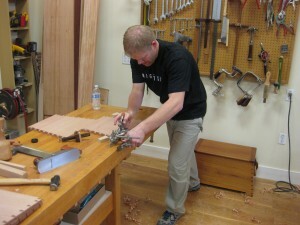 I also taught the workshop in my studio at The Joiners Bench. 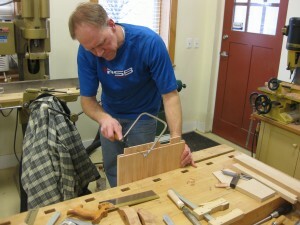 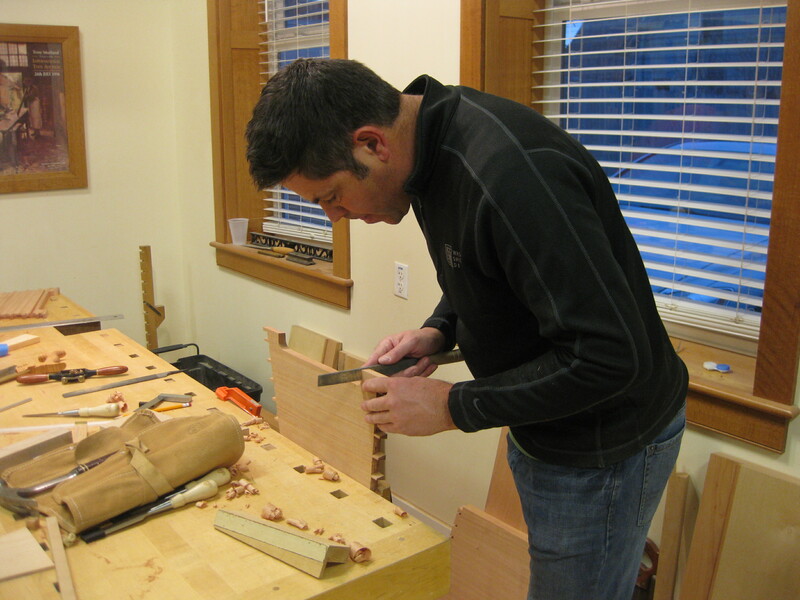 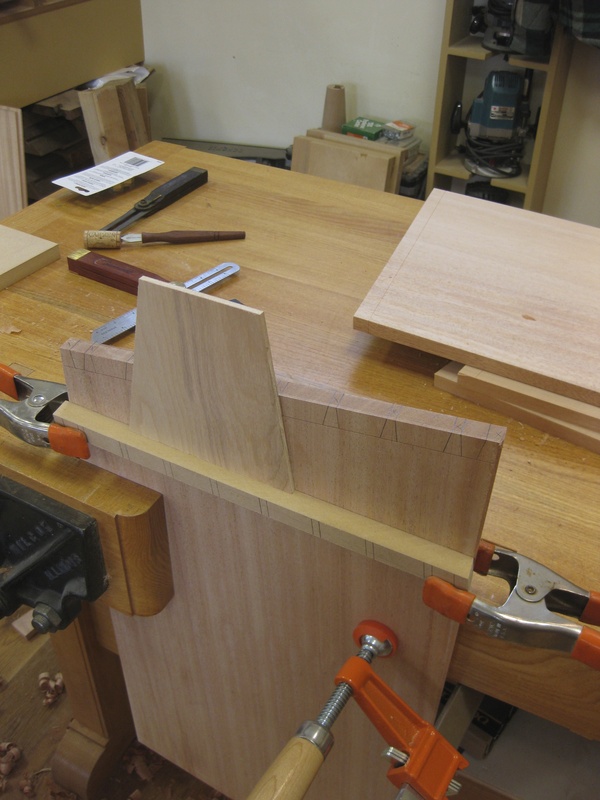 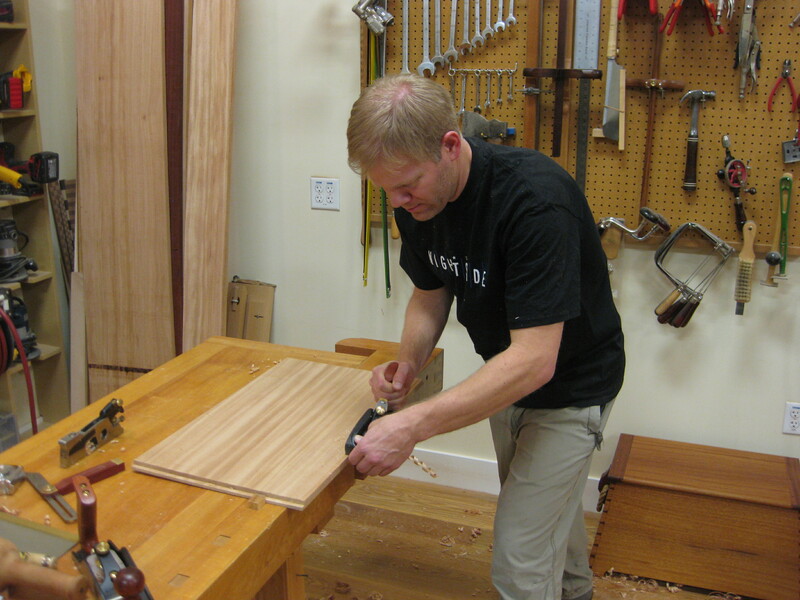 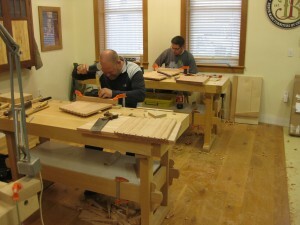 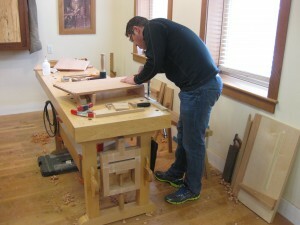 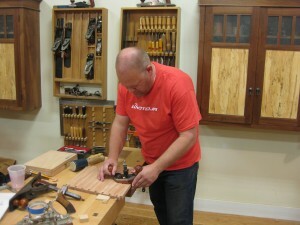 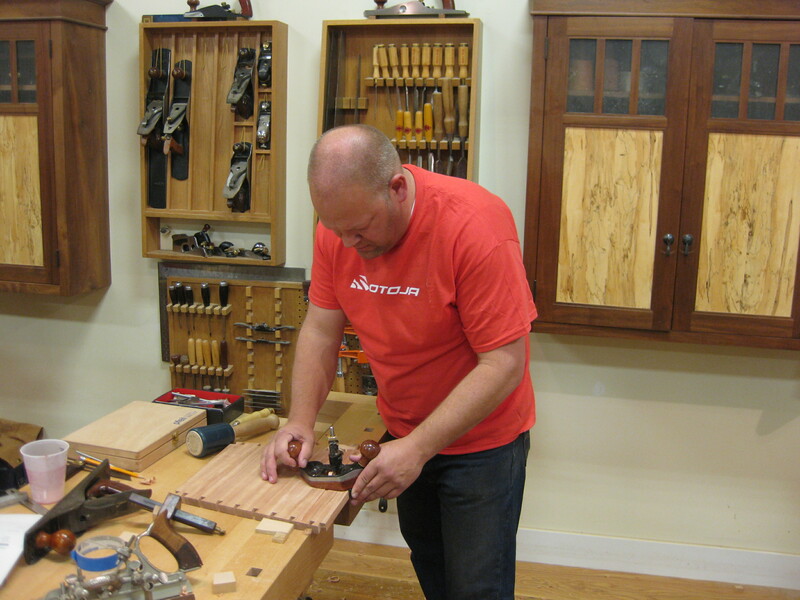 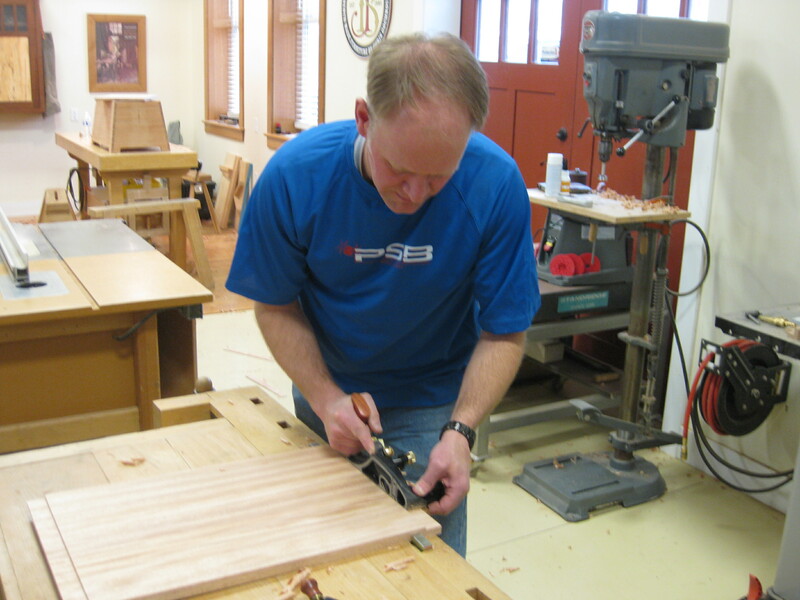 I really enjoy teaching this workshop because you use a wide range of traditional woodworking techniques such as compound angle dovetails and breadboard panel construction. 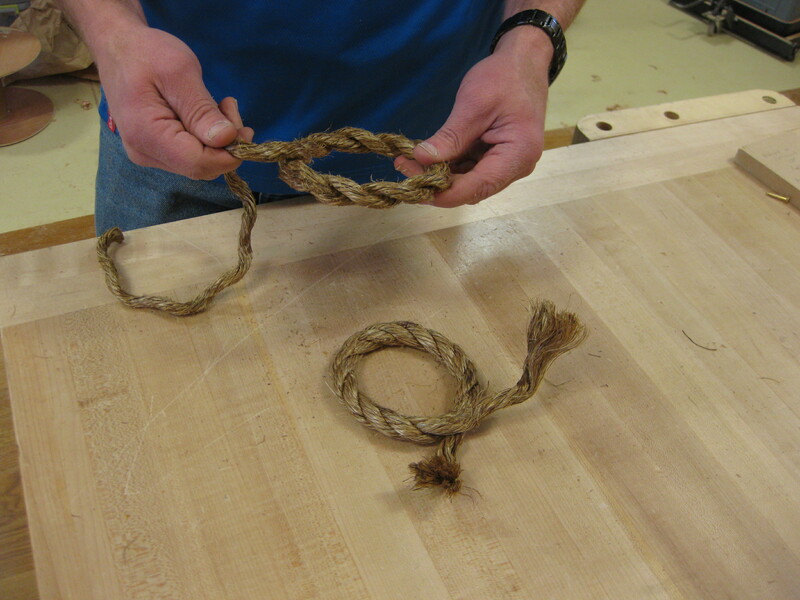 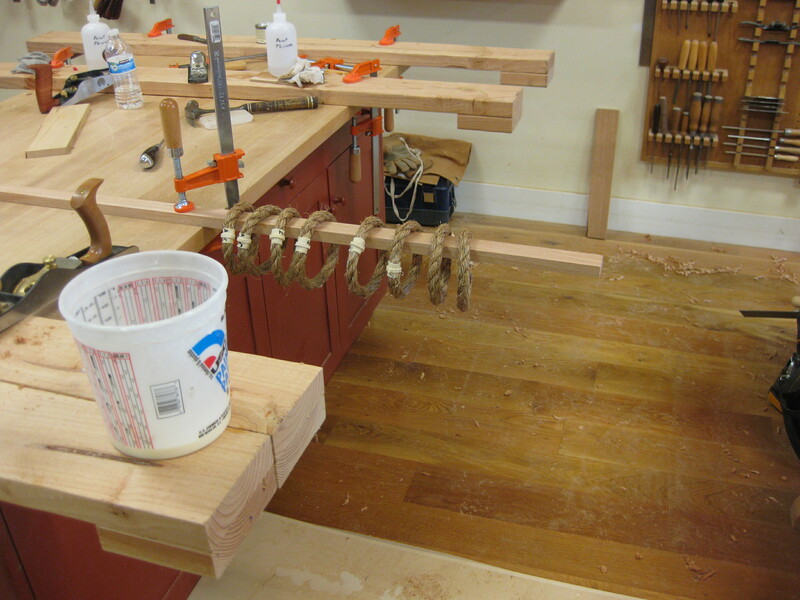 We also make our own rope handles, which add a nautical flair and visual interest. 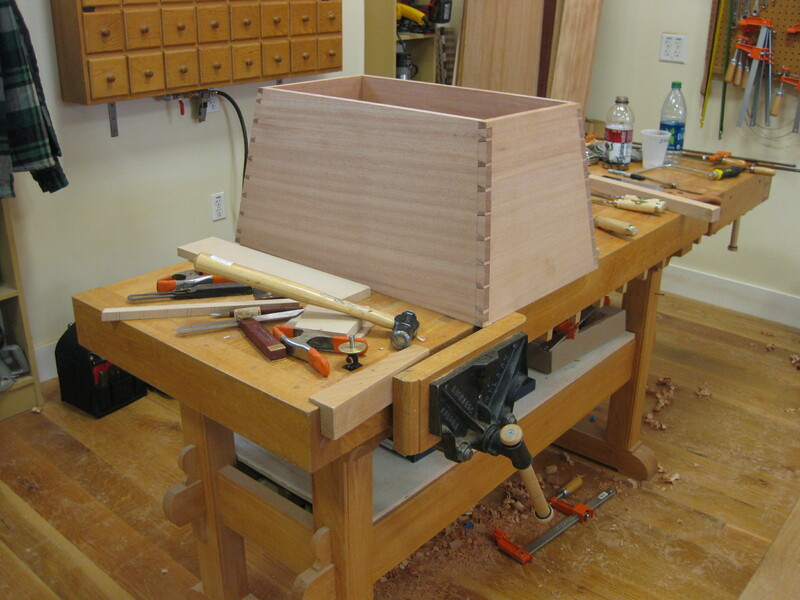 We build the chest in three days and have a lot of fun in the process. 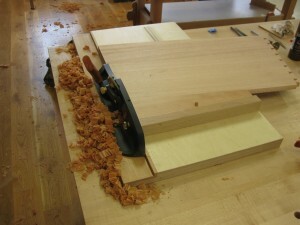 Here are several photos of the construction of the chest in process. Next year I will teach another sea chest workshop. 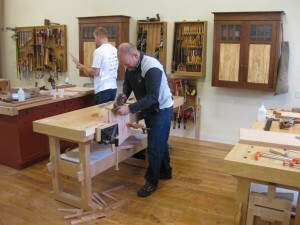 If you are interested send me a note at TheJoinersBench@gmail.com. 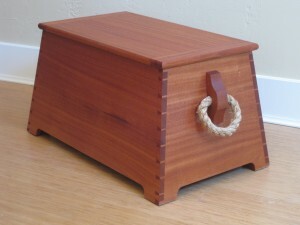 Nice work guys. 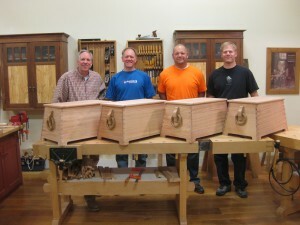 Four completed chests.